Laura Germino of the CIW (middle, in front of vase) stands between Florida Congresswoman Lois Frankel (D-FL, on right) and Congresswoman Jackie Speier (D-CA, on left) during a picture taken before the State of the Union address. The group includes Congressional representatives and the activists working to end sexual harassment and assault in the workplace who were invited to attend the address as a show of solidarity with the #TimesUp movement. 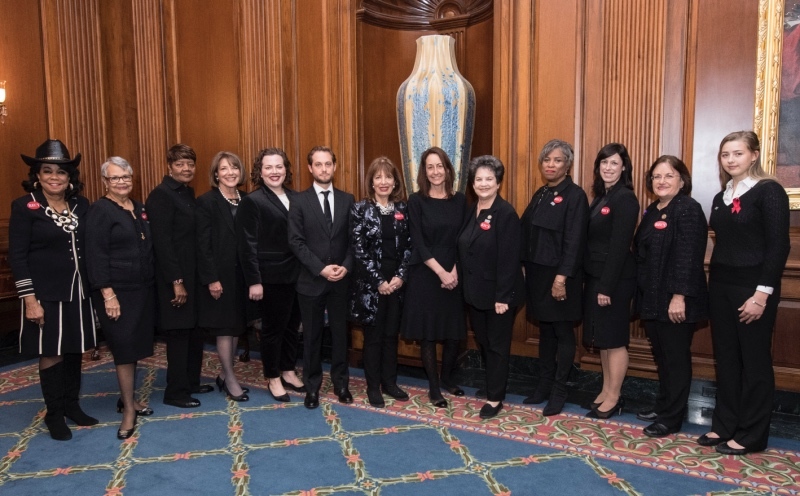 In a nod to the gesture that launched the Time’s Up movement at last month’s Golden Globes ceremony in Hollywood, dozens of Congresswomen and Congressmen took the opportunity of Wednesday night’s State of the Union address to demonstrate their solidarity with survivors of sexual violence — and their support for efforts to end sexual harassment and assault in the workplace — by dressing in black and inviting activists from around the country to attend the annual high profile event as their guests in the Nation’s Capital. As one of the leaders of the Congressional #TimesUp contingent (pictured below, in its full glory, at a gathering ahead of the speech), Representative Lois Frankel of Florida’s 21st District reached out to the CIW and invited Laura Germino, the Director of the CIW’s Anti-Slavery Program, to join her at the Capitol and represent the Fair Food Program as proof that a concrete solution to the scourge of sexual violence is possible. The Representatives’ gesture generated a significant wave of national and local media interest, which, in Laura’s case, included everything from a well-attended press conference held at the airport with Rep. Frankel before leaving for Washington, to interviews throughout the day Wednesday. It also served to lift up the Fair Food Program as a model for workers and industries around the country that are looking for a proven solution for curbing sexual abuse at work. Here below are just a few of the excerpts. 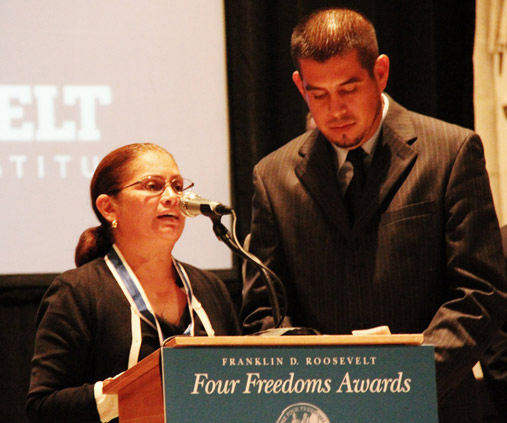 … Frankel has invited Laura Germino, an anti-trafficking activist and co-founder of the Coalition of Immokalee Workers, a human rights organization that promotes safe and fair conditions for farmworkers. Germino said she will wear black to the State of the Union. The seasoned activist said it’s time to focus on ending workplace harassment. … When the Democratic women’s decision to wear black was first announced in the earlier part of January, many on the right heaped disdain on the congresswomen, trying to paint them as fluffy-headed lightweights who are all talk and no action. This, readers will not be surprised to find out, is flat-out false. On the contrary, Democratic lawmakers are pointedly inviting a broad array of activists and other figures — some of them survivors — who have worked to fight sexual abuse and harassment in all its forms. Rep. Lois Frankel, D-West Palm Beach: Laura Germino, co-founder of the Coalition of Immokalee Workers. 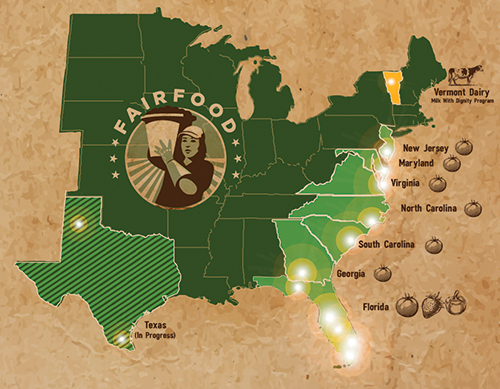 In her role, Ms. Germino was instrumental in establishing CIW’s revolutionary Fair Food Program, which is nationally recognized as a success story in eliminating sexual harassment and increasing wages for tomato farmworkers. … Other members of Congress will bring assault survivors or anti-harassment advocates as their guests. Rep. Jackie Speier (D-CA) plans to bring Fatima Goss Graves, president of the National Women’s Law Center, which administers the Time’s Up legal defense fund. Rep. Ann McLane Kuster (D-NH) will bring Chessy Prout, who was sexually assaulted at St. Paul’s School in Concord, New Hampshire. 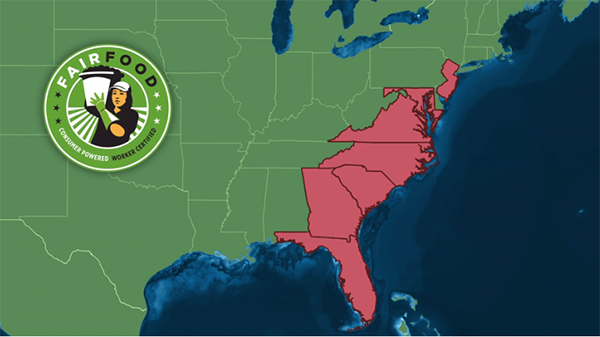 Frankel will bring Laura Germino, a co-founder of the Coalition of Immokalee Workers, an organization that has worked to prevent harassment and increase wages for farm workers in Florida. 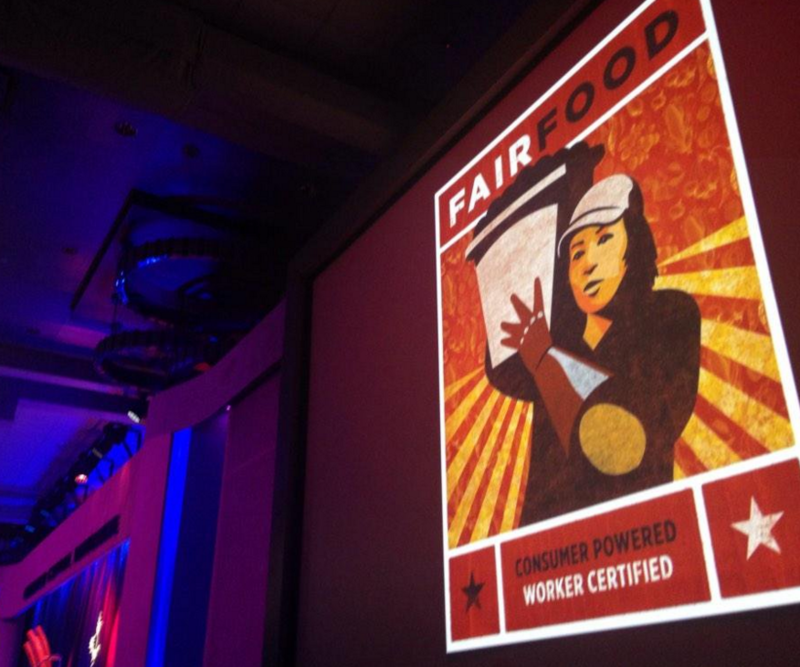 Under the CIW’s Fair Food Program, employers agree to a code of conduct for farm workers, which bans abuses like sexual assault and forced labor, Germino told Vox. 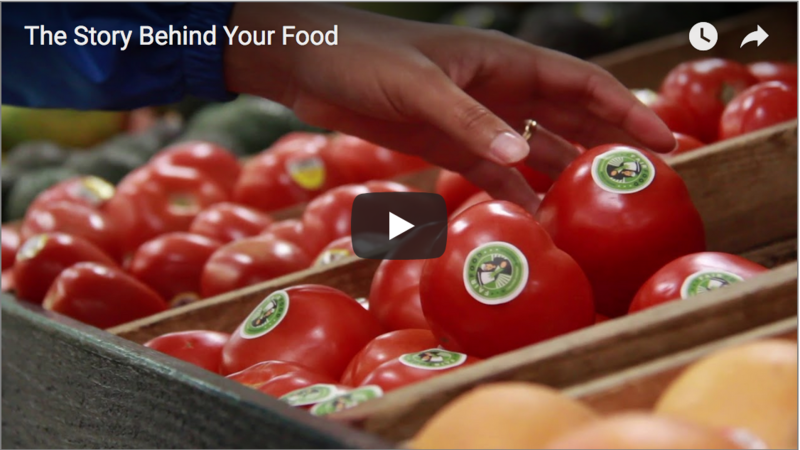 If employers violate the code, food buyers — like McDonald’s, Walmart, and Whole Foods — will stop buying their products. Germino says the program helps workers feel safe reporting misconduct. Thirty-five supervisors have been disciplined for harassment as part of the program, she added, and 11 have been fired. 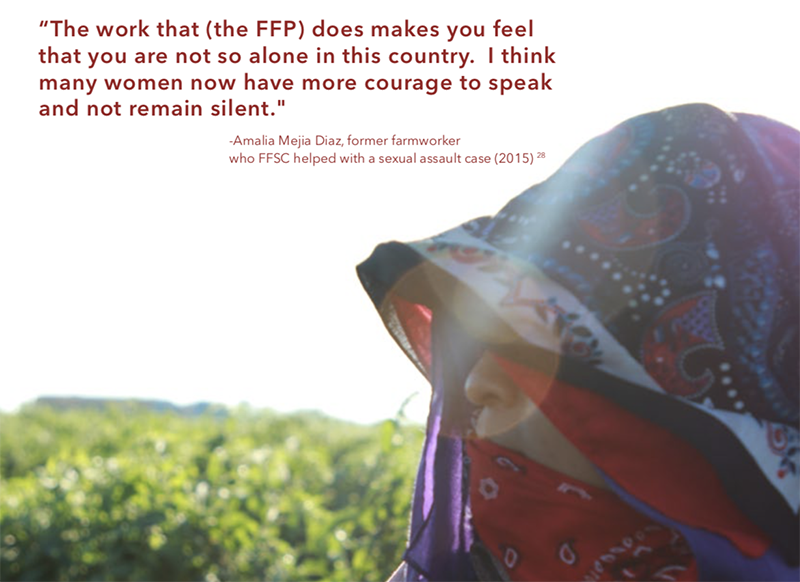 All in all, the decision to turn the State of the Union into a national teaching moment on the problem of sexual exploitation at work — and, above all, on the solution to sexual violence that the Fair Food Program represents — was a huge success. We thank Rep. Frankel for including the CIW in this historic moment, and look forward to working together in the months and years ahead in the fight for fundamental workplace equality and justice, for all of Florida’s workers. REGISTER NOW: The Freedom Fast and Time’s Up Wendy’s March are coming!